"Plymouth have drawn a couple of times too at home (both 1-1), and that's a bet that makes the most appeal here." Last week I highlighted Walsall's ridiculous price for the Draw No Bet at Barnsley. It didn't quite come off with the 1-1, but no team in this league (especially one that are unbeaten) should be priced up at [8.0]. It did pose a question to myself regarding laying - especially as the Tykes were at [1.48], and that's something to look at in the future. But when something is overpriced, I prefer to be a backer. Incidentally, the scoreline at Oakwell was the ninth 1-1 in League One over the last two weeks. Those backing the draw blindly in every game in the past fortnight have copped 12 times. Quite a high figure. Anyway, we move on to this weekend and another chance to back Walsall as the outsider of the two. If you are taking the [2.74] on the home win you have history on your side. Opta stats reveal that Walsall have won each of their last seven league matches against Rovers; which is their best winning run against any single opponent in the club's history. Saturday would not be a good time to break that particular stat. I like Walsall as a team this season and it will be worth keeping them onside for a few weeks yet. They showed remarkable discipline against Barnsley in terms of defending and keeping their shape, but I anticipate manager Dean Keates being more aggressive against Doncaster this Saturday - a side who have failed to score in eight of their last 12 league outings. They are bad favourites here at [2.52], I would have them the other way around. The hosts have scored in every league match this season bar one (against Blackpool), and they should be too strong if they replicate their recent form. An out-of-form weekend was rounded off by a very poor Oxford performance in the Sky game last Sunday. They deservedly lost to Coventry 1-2, and looked very shaky and nervous at the back. Coventry have been a low-scoring team too, so that was a major worry for U's fans and backers. I must admit, it was quite painful viewing. Wild fluctuations in form is the norm for League One, but the display was as far from the Sunderland performance as you could get just seven days previously. Oxford boss Karl Robinson criticised his team again with quite a telling quote. He mentioned his players "don't want to be there when opponents get in their faces", which is something they can most certainly expect at Adams Park. It doesn't say much for the visitors chances here that Wycombe are at [2.20] yet have won just once in seven games. They have also failed to win at home this season in three matches - although they gave Luton a good game recently in a 1-1 draw. I have no idea what sort of Oxford side will turn up on Saturday, but Opta stats highlight a worrying trend on the road for Robinson in charge. He has collected just four points from a possible 24, conceding an average of 2.25 goals per game. Injuries have played a part, but I was surprised how poor they were last Sunday. Bore draw on the cards? The Tangerines recently confirmed Terry McPhillips as the permanent manager following his nine-match stint in charge as caretaker - and they have gone under the radar with a very solid start to the season. Certainly under my radar. So it is no surprise to see the visitors trade here as the favourites at [2.54]. Blackpool are in the top-half, Plymouth are not. 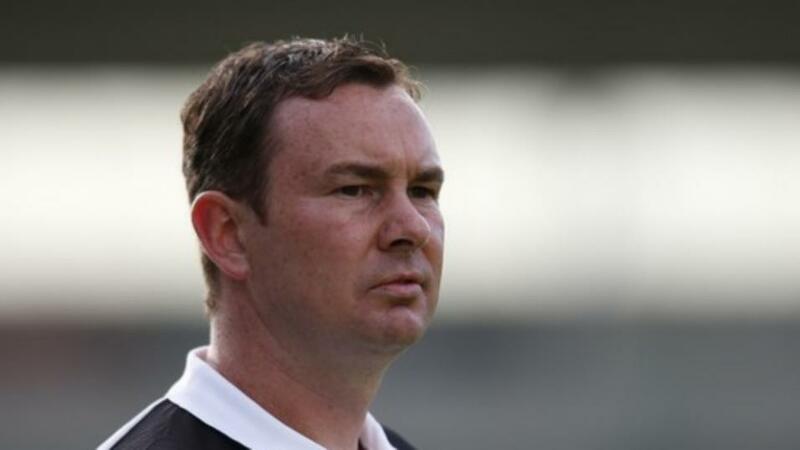 In fact, Derek Adams' side are rock-bottom with just three points. This season is starting to mirror last season. Red cards cost Plymouth 12 months ago - this time around it is silly mistakes. However, they showed a bit more of the 'old Plymouth' last weekend in the 0-0 draw with Bristol Rovers. In fact, away from the thrashings by Portsmouth and Peterborough (which would have hurt Adams badly), they have managed to stay in matches. I anticipate a close one here. With Blackpool drawing all three away games this season 0-0, I thought the Under 2.5 Goals might have been around the [1.70] mark when looking at this game on Wednesday and Thursday. The fact there was a small amount up at [1.80] is fair enough. I doubt we'll get the [1.85] though. Plymouth have drawn a couple of times too at home (both 1-1), and that's a bet that makes the most appeal here.